Fought, Carmen. 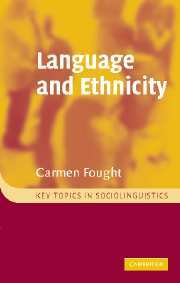 Language and Ethnicity. Cambridge, 2006.